There is a saying that you make most of your money in a bear market, but you just don’t realize it at the time. But in a stock market that has been falling for more than seven months now, it is difficult to tell when you can really make money. The PSE Index has managed to recover briefly during the past two months only to break down recently from its 7,500 main support, losing almost 400 points in just a few days. Fears of continuous rise in inflation and interest rates in the coming months, especially after the devastating typhoon last week, have raised concerns of another sell-off in the stock market. With the PSE Index already losing more than 20 percent from its peak in January, business headlines are reporting that the stock market is already entering the bear market territory. Chances of a prolonged downturn as high inflation coupled by weaker peso and rising interest rates may lead to disappointing quarterly earnings results in October and lower earnings growth next year. While the stock market is expected to rally soon as share prices have reached oversold levels, the general sentiment may continue to be bearish. The first thing you need to do is avoid panicking when share prices are falling. Remember that share prices go up and down and for as long as you don’t sell your stocks; your paper losses are just temporary. What goes down must go up. The stock market is not going to fall forever. It is just a matter of time before the stocks recover again. During this time, it is better to review your portfolio and put your losses in the proper perspective. For example, you must find comfort if your portfolio is down by 12 percent but it is lower than the average loss of 15 percent among top mutual funds in the country because it is not as bad as the rest. But if you are losing more than the average, you may need to reallocate some of your holdings to increase your chances of recovery. You may have to sell some losing stocks to lighten up your portfolio and switch to better stocks. It is impossible to buy stocks at the bottom as much as you sell stocks at the highest price, but you can start to accumulate slowly when you see the stocks have fallen to attractive levels. Stocks that have lost by more than 20 percent do not necessarily mean that they will recover soon. It only means that they are already cheap but can get cheaper depending on general market sentiment. Your best bet will be the blue chip stocks that are part of the PSE Index. They are the first ones that will recover strongly when the market rebounds. Large cap stocks that have outperformed the market in the past are SM Prime Holdings, Jollibee Foods Corp., Ayala Land and Manila Electric Company. 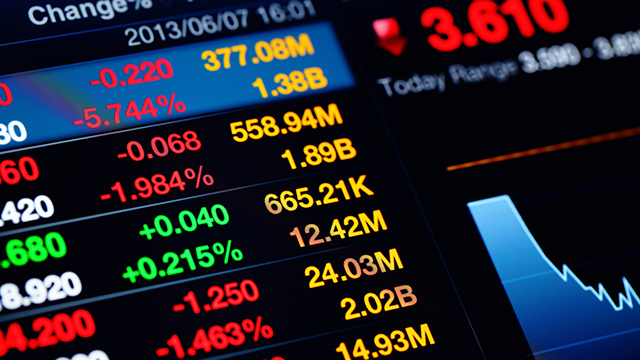 Investing in the stock market can be emotional, especially when share prices are volatile. Sometimes, because of fear, you tend to avoid buying a stock at a low price only to regret it later when it goes up. If you want to invest with less emotion attached to it, you can try to use the peso cost averaging technique. This technique requires you to invest a fixed amount to buy a particular stock on a regular basis. Let’s say, every month, you buy a stock with a fixed investment budget regardless of the share price. When the stock price falls, your fixed budget buys more shares, but when the stock goes up, your budget buys fewer shares. The idea in this technique is that if you expect the stock market to continue to fall until next year; you get to buy more shares with your monthly budget as the stock falls so that your average cost per share gets better until the stock bottoms out. A company that pays dividends regularly implies that it is capable of generating a steady stream of earnings in order to pay its shareholders. The dividend that a stock pays relative to its share price is called the dividend yield. With the stock market falling to record lows this year, share prices of dividend-paying stocks are also down. As share prices go down, the dividend yield increases, making the stock more attractive. When you buy a dividend-paying stock, you should not only look at the yields itself, but also on the fundamentals of the company. You need to assess the chances that the company will pay at least the same dividend as last year. How is the earnings growth of the company for the past five years? Will the company continue to grow its earnings this year? The stock market will always recover. It is just a matter of time before the next bullish cycle will start again. The current downturn may take weeks, months or even years but regardless of how long before this ends, there will always be opportunities to make money from stocks. Perhaps this would be best time to prepare when the next opportunity knocks. Learn more about investing by reading books or attending seminars. There are many books or training about stock market investing that focus on different topics. When you learn new things, you challenge your brain about new ideas and improve those that contradict your own investing style. By reading and studying, you will continue to grow and become a better investor in the future.